Before you do all of that ask yourself a question, are you really making the most of your garden space with your current garden layout? Are you finding yourself retreating in early due to a slight change in the weather? 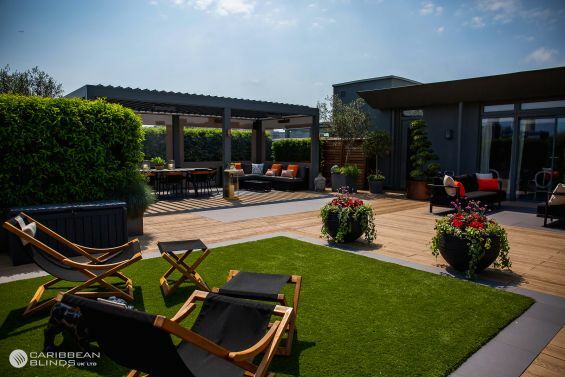 As we are all aware that the British weather can be a little unpredictable at times even in spring but with the right garden design and garden features you can fully immerse yourself in the outdoor living lifestyle without a worry and really embrace the season. At Caribbean Blinds we have been transforming gardens all over the country for over 3 decades, working with clients, designers and landscape architects to change dynamics and enhance lifestyles. Our Award Winning Outdoor Living Pod™ range has fast become the garden feature of choice to significantly compliment landscape designs. 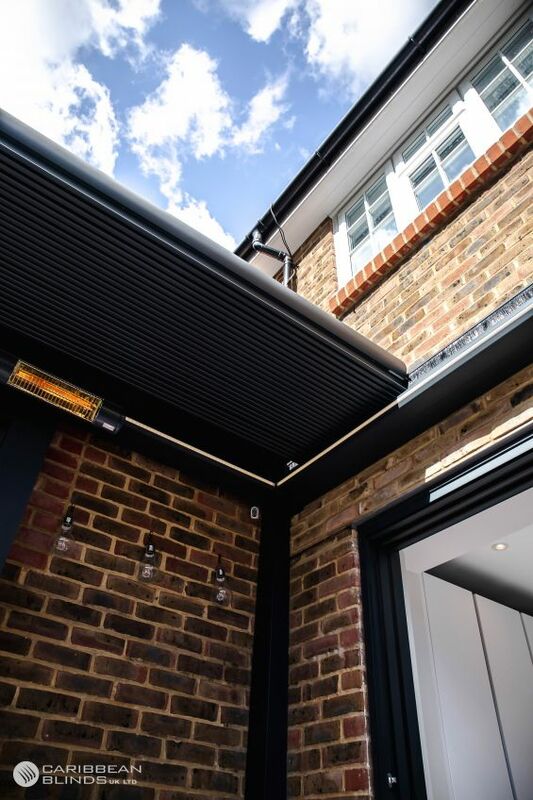 Our louvered pergola has been specifically engineered with innovative weatherproof features to combat the British climate. 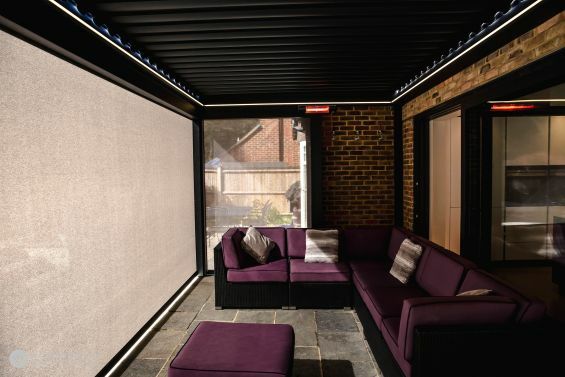 The main highlight is its automated rotating & sliding louvered roof (dependant on model) which gives the client’s precise control, combine that with the optional side screens, LED lights and infrared heaters and you have yourself the ideal garden canopy that can adapt quickly to its surroundings to provide a comfortable setting to relax in. All our aluminium pergolas are manufactured here in the United Kingdom and made bespoke to the individual client requirements. Our team of designers and installers work closely to create an integrated design that coincides with existing exterior features to create a seamless professional finish. 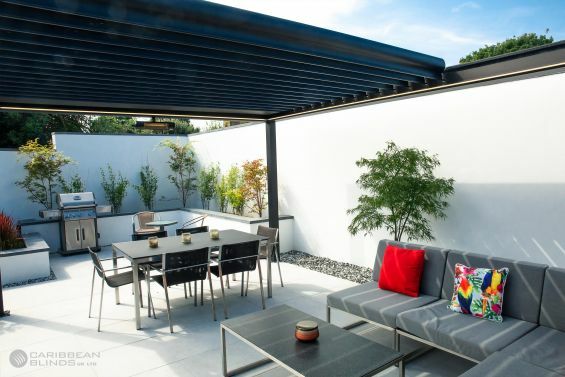 There are endless possibilities and with our experience and knowledge we will be able to provide you with a dedicated outdoor living space that you can use time and time again from season to season. If you would like to find out more on how we can help you transform your garden landscape then speak to one of our trusted and knowledgeable advisers on 0344 800 1947 or alternatively you can use our quick enquiry form to receive your FREE detailed brochure.